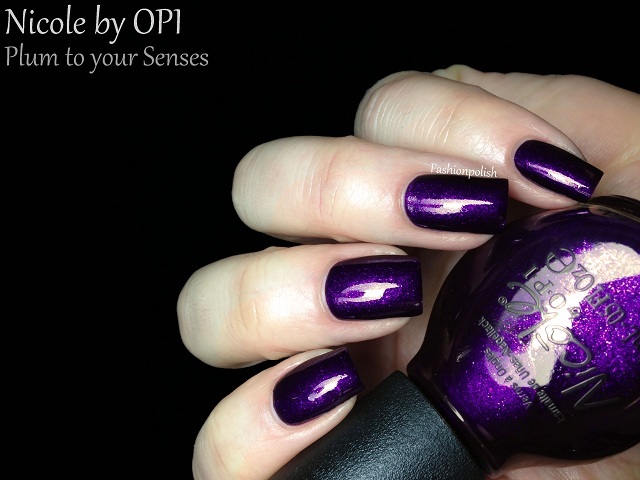 Today I have the four new shades that have been added to the Nicole by OPI core range for 2013 to share with you. 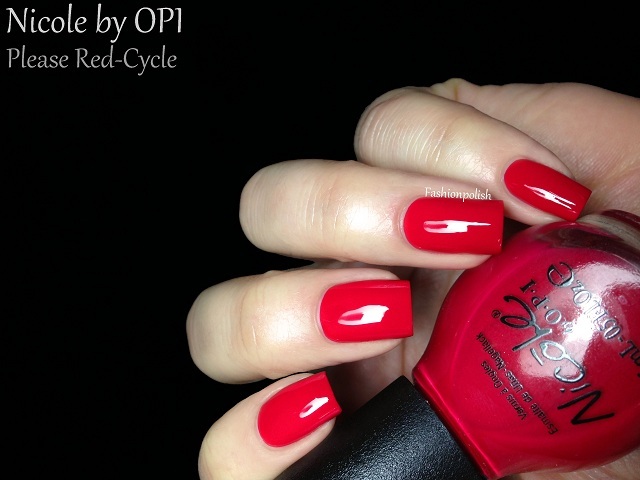 Please Red-Cycle is a bright tomatoe red with a slight blue hue. 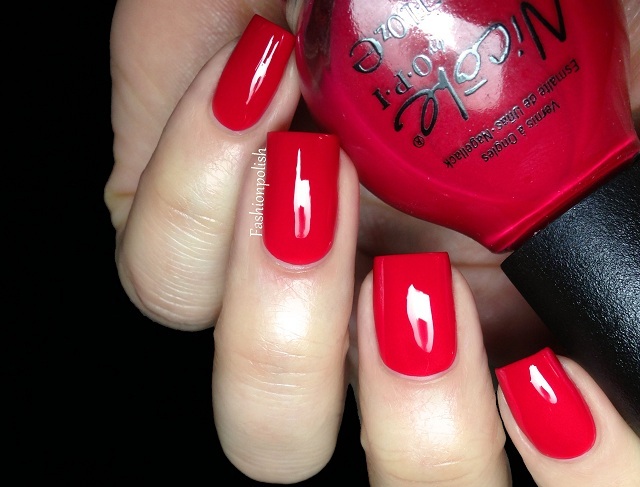 It's a very classic shade of red but formula was just perfect so I'd definitely recommend it! Even and almost a one coater, I used 2 coats plus topcoat below. 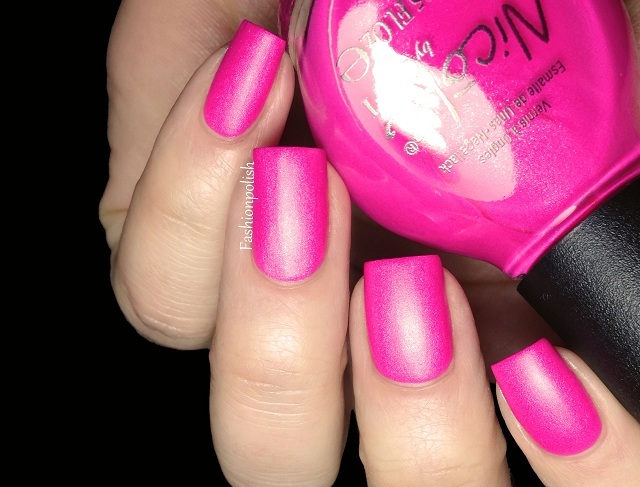 Still into Pink is a saturated matte pink with silver shimmer. I completely forgot it was matte when I swatched it so imagine my surprise! It looks amazing on the nails but I found formula a bit difficult to work with : it dried so quickly that I had to work fast to prevent uneven application. Opacity was nice but due to its formula, 2 to 3 coats will be necessary to achieve complete coverage. This is 2 coats and no topcoat. 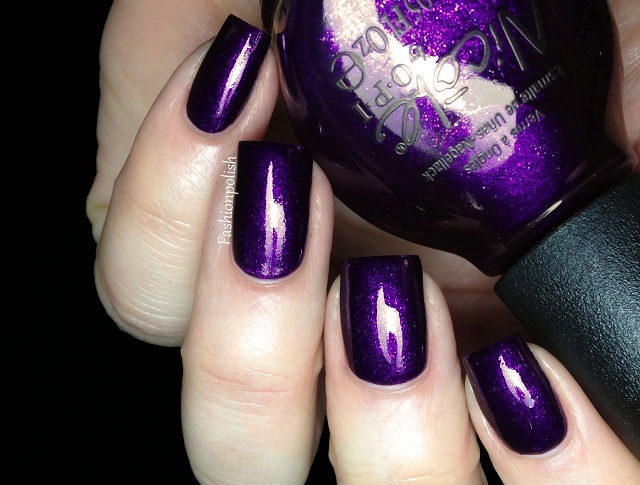 Plum to your Senses is a gorgeous vampy purple shimmer. I love it on the nails! It applied perfectly evenly and barely required a second coat but I experienced shimmer sinking in the bottle and I had to give it a really good shake to be able to use it. Two coats plus topcoats in the swatches below. Totally in the Dark is a black infused with silver sparkle. Black being one of my top favorite colors of polish, you won't be surprised if I tell you that I really loved it haha. Application was easy as a breeze and it reached full coverage with the second coat. These don't really scream Spring but I still think that they make nice additions to the Nicole by OPI core range. Did you see them in store or pick any of them. I wasn't too impressed when I saw first saw these, but your swatches make me want them all now! I love Still into Pink - both the colour and the finish look superb! I didn't know the pink was matte!!! Great for a quick mani! Wow, amazing colors. I love red and purple shades.